le chaudron de vulcain – April 09, 2017. EN. Kilauea , Cerro Azul , Ebeko , San Miguel . April 09, 2017. EN. Kilauea , Cerro Azul , Ebeko , San Miguel . Home / blog georges Vitton / April 09, 2017. EN. Kilauea , Cerro Azul , Ebeko , San Miguel . No significant change. Kīlauea Volcano continues to erupt at the summit and the Puʻu ʻŌʻō vent on its East Rift Zone. 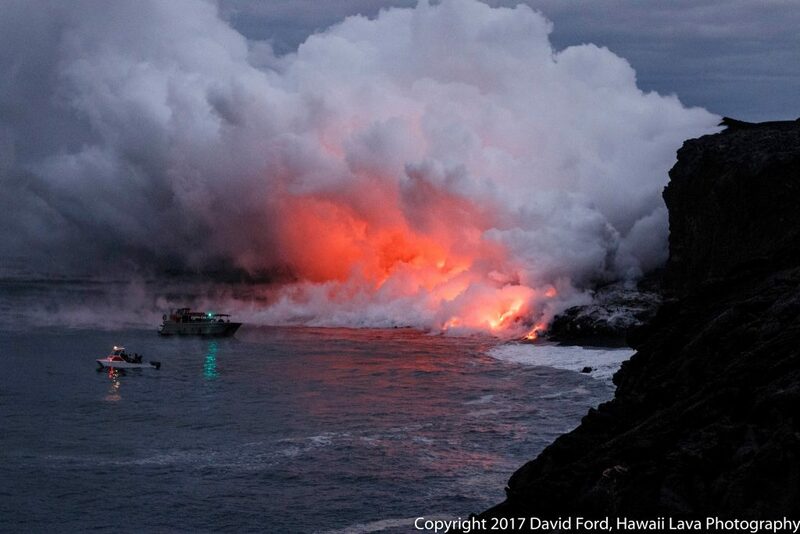 The episode 61g lava flow is entering the ocean at Kamokuna, where a small lava delta has been growing since late March. Surface flows remain active above the pali. These lava flows pose no threat to nearby communities at this time. Yesterday afternoon, the summit lava lake surface was 29 m (95 ft) below the floor of Halemaʻumaʻu Crater. Tiltmeters at Kīlauea’s summit continue to record deflationary tilt. 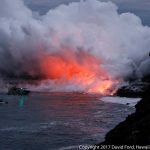 Yesterday afternoon, the summit lava lake surface was 29 m (95 ft) below the floor of Halemaʻumaʻu Crater and the level has remained fairly steady overnight. 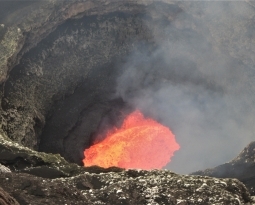 Webcam views of the lava lake can be found here: http://hvo.wr.usgs.gov/cams/region_kism.php. Seismicity is within normal, background rates. Tremor amplitudes continue to fluctuate with the vigor of lava lake spattering. 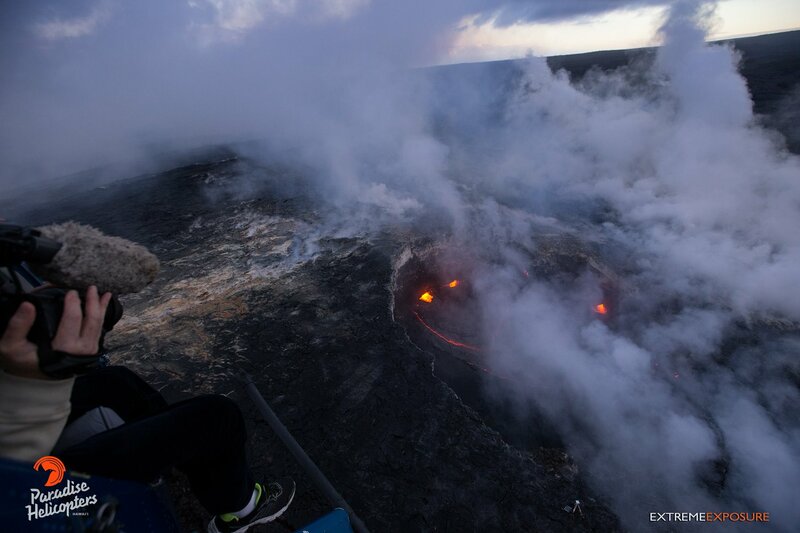 Summit sulfur dioxide emission rates from the lava lake remain high. Webcam images over the past 24 hours show persistent glow at long-term sources within the Puʻu ʻŌʻō crater and from a small lava pond on the west side of the crater. There were no significant changes in seismicity or tilt over the past 24 hours.The sulfur dioxide emission rate from all East Rift Zone vents was about 230 metric tons/day when last measured on March 21, 2017. The episode 61g flow is still active and entering the ocean at Kamokuna, where a small delta is growing. A robust plume at the ocean entry is visible in this morning’s web cam images. Downslope of Puʻu ʻŌʻō, surface flows on the upper portion of the 61g flow field remain active. Web cam images show little to no surface activity below the pali and on the coastal plain. Flows pose no threat to nearby communities at this time. Photos : David Ford , Bruce Omori. During the last 10 days, a decrease in the number of seismic events under the Cerro Azul volcano has been recorded. 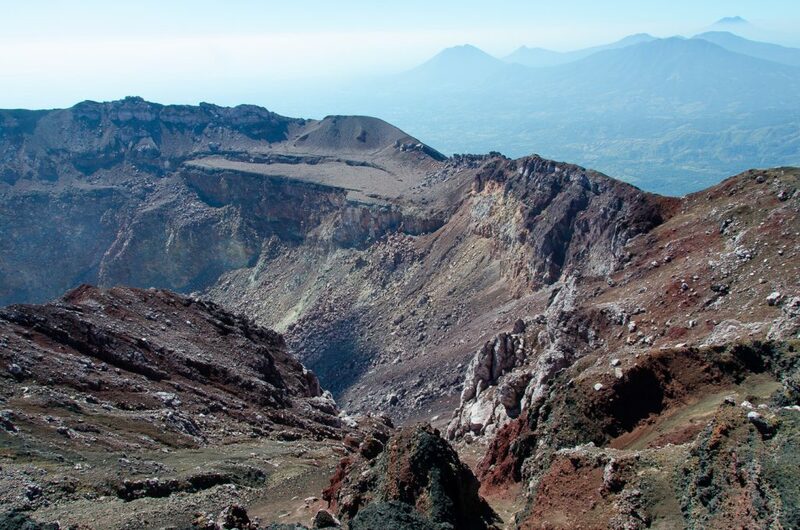 However, the volume of the magmatic intrusion under the SSE flank of the volcano, which is confirmed by the seismicity, has increased compared to the first estimate of the special rapport No. 2. – A decline in activity is observed, without the magma reaching the surface. This is the most likely scenario if no change is observed in the monitoring parameters. – Possible eruption of the Cerro Azul volcano in the short or medium term (days to a few weeks) if the magma reaches the surface. In this case, it would be necessary to observe an increase in seismic activity before the eruption. The seismicity that had increased under the volcano to a maximum on March 21, decreased (Figure 1) and reached levels similar to those observed prior to March 19. Figure 1: Number of earthquakes per day, noting the increase recorded between 20 and 21 this month. In the last few days the few recorded events were located to the Southeast of the Cerro Azul volcano as indicated (Figure 2). Figure 2: Location of earthquakes between 16 and 1 April 2017. A new radar image was acquired by the Sentinel-1 satellite with which a new interferogram was made (Marco Bagnardi University of Leeds). With this, the deformation observations from March 8 to April 1 were confirmed. Net inflation was recorded on the SSE flank of the Cerro Azul volcano (Figure 3), which reached ~ 38 cm (satellite measure). The other analysis of the interferogram indicates that the peak of deformation is probably contemporaneous with the peak of seismic activity (around the 21st). The accumulated deformation value is greater than that recorded between March 8 and 20, indicating an increase in the volume of the intrusion after the 20. At the same time, deflation continues to be observed under the crater, which has reached ~ 37 cm. This confirms the hypothesis that the main magmatic reservoir under the caldera feeds an intrusion below the SSE edge of the volcano. 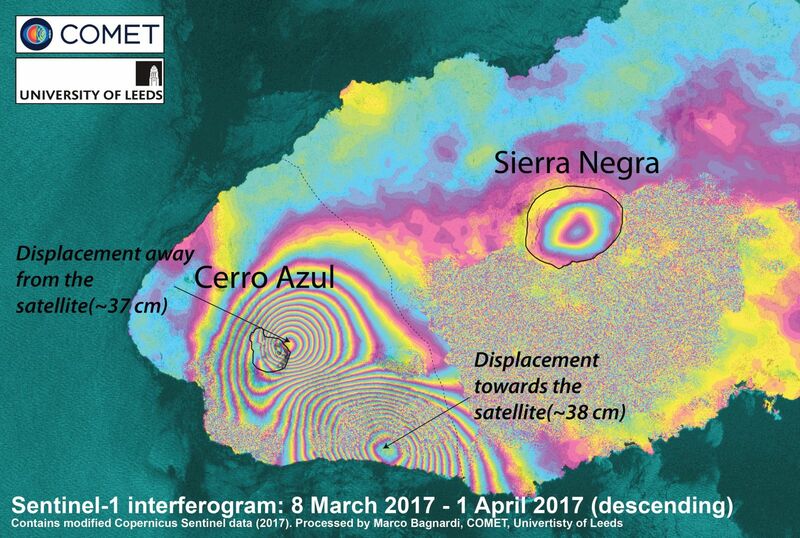 Figure 3: Radar interferogram between March 8 and April 1, 2017 (as modified by Marco Bagnardi, University of Leeds). 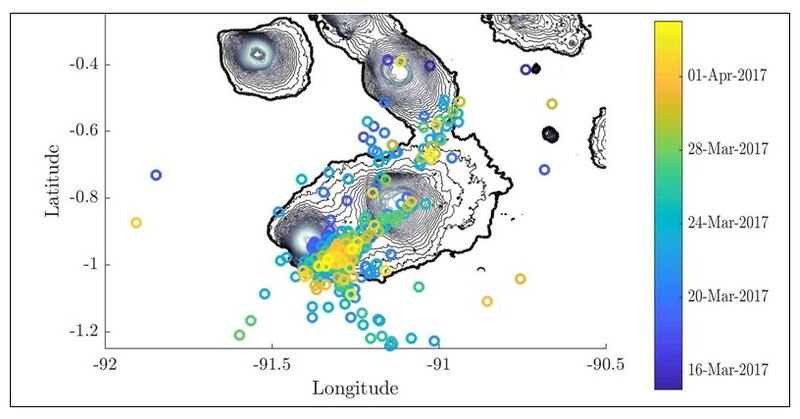 Recent volcano deformation monitoring data indicate that the intrusion of a magma body under the SSE flank of the volcano continued after March 20th. However, the decrease in seismicity after March 25th could indicate that the process has stopped. On the basis of the accumulated deformation value, the volume of magma involved in this process is greater than 40 million m3. A moderate gas-steam with some amount of ash activity of the volcano continues. Ash explosions up to 16,400 ft (5 km) a.s.l. could occur at any time. Ongoing activity could affect low-flying aircraft and airport of Severo-Kurilsk. 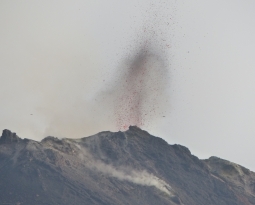 A moderate explosive activity of the volcano continues. 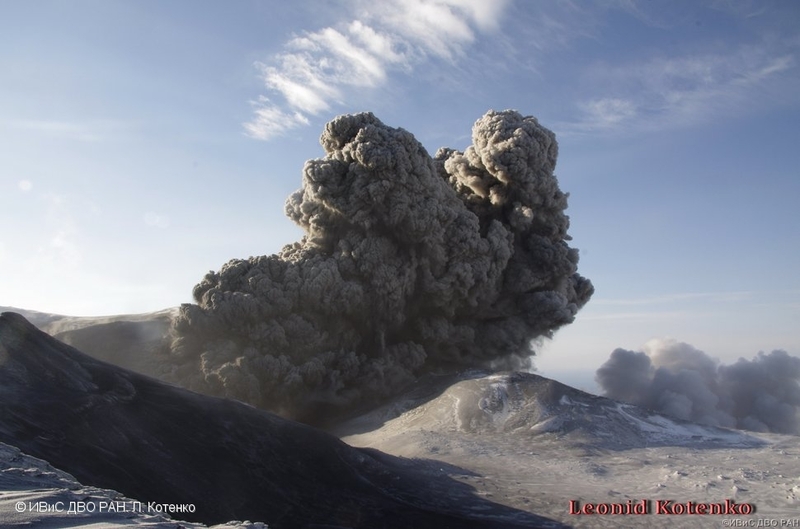 According to the data by observers from Severo-Kurilsk (Paramushir Island, Northern Kuriles), several ash bursts up to 4 km a.s.l. 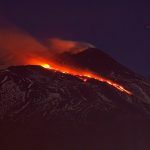 occurred on 04-06 April; a weak ashfall was noted at Severo-Kurilsk on 06 April. Satellite data by KVERT showed the volcano was quiet or obscured by clouds. The volcanic activity of the Chaparrastic remained relatively stable in its level of seismic vibration, fluctuating between 33 and 89 units RSAM / day on average. A fragile rock fracture earthquake was located one kilometer east of the crater, about 100 meters deep with a local magnitude of M1.0. The appearance of microseisms associated with the emission of gas by the movement of magma has been reduced compared to the previous months. Because of their small size, none of them was perceived by the population. 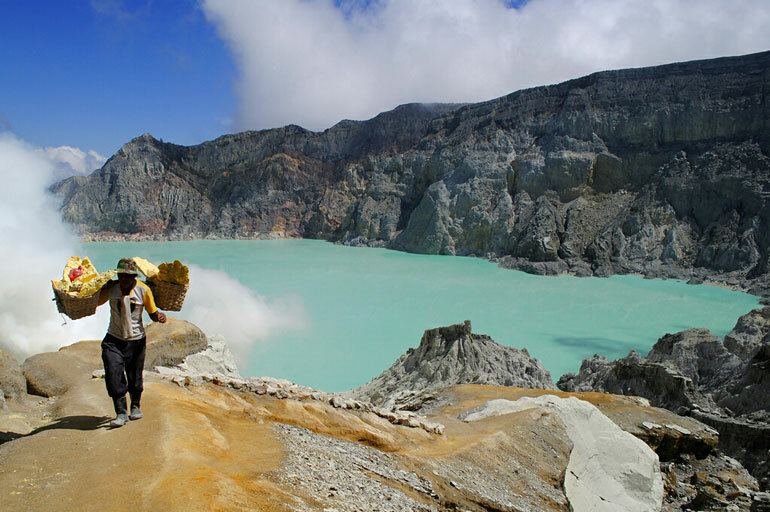 For sulfur dioxide (SO2) emission values, these ranged from 89 to 1300 tonnes per day. Data considered important and typical of a volcanic system with an open duct. 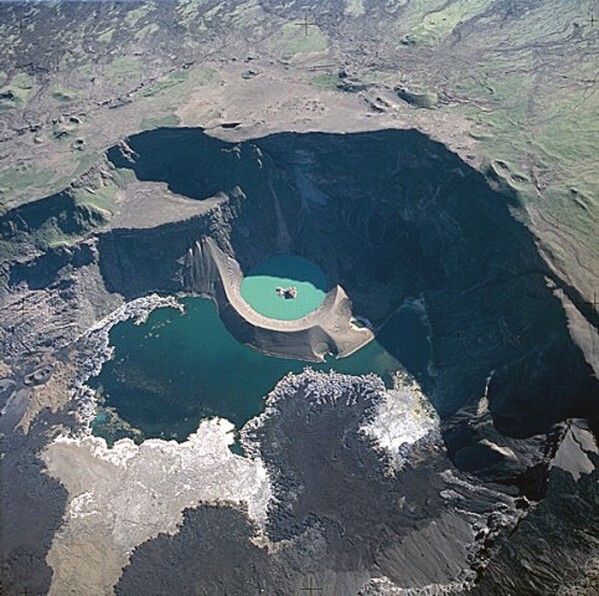 At the end of the month the activity of the volcano was normal. 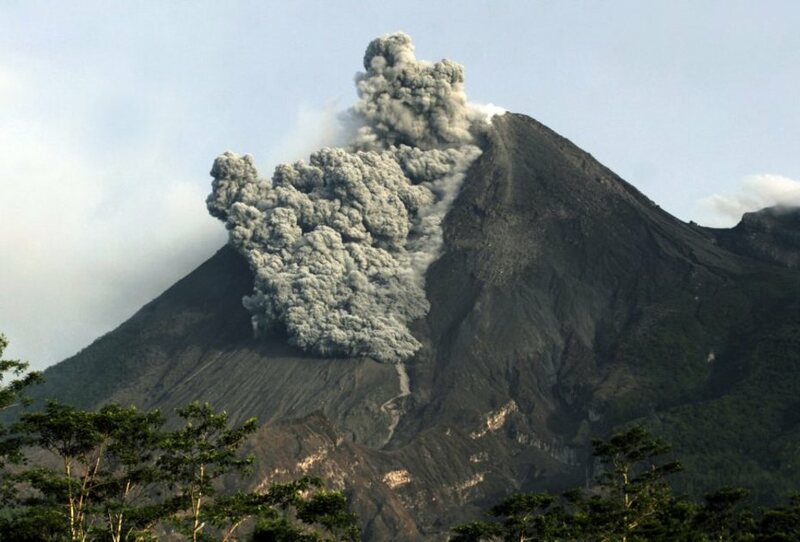 However, the strengthening of the monitoring of the MARN is maintained in real time on the volcano. 09/04/2017. FR. Kilauea , Cerro Azul , Ebeko , San Miguel.